Sarracenia purpurea is one of the typical North American pitcher plants and although not as showy as some others, especially the many hybrids now available, it does have the distinction of having the widest distribution of all the species, growing wild along the eastern states of the USA from the Carolinas north into Canada where it can be found in every state apart from in the west. As such it is incredibly hardy and can withstand all the frost the UK and Irish winter can throw at it. In fact it is has been found naturalised in both countries, presumably after being deliberately planted. There is a raised bog west of Dublin where it apparently grows prolificially, along with darlingtonia, and that is definitely somewhere I must visit later this year. It is found on Woodfield Bog and many places in Roscommon. I will not go into the ethics of introducing alien plants, something that is usually not to be encouraged, but a big part of me thinks that, although it is possible these plants may force out a few native insectivorous plants in these precious habitats, it is pretty exciting that I may stumble across these in the ‘wild’ in Ireland or the UK. It is easy to recognise this species with its dumpy ‘cups’ and lid that does not cover the opening but acts as a flag to signal to insects the tasty contents of the cup into which they slip when they try to grip onto the downward pointing hairs. 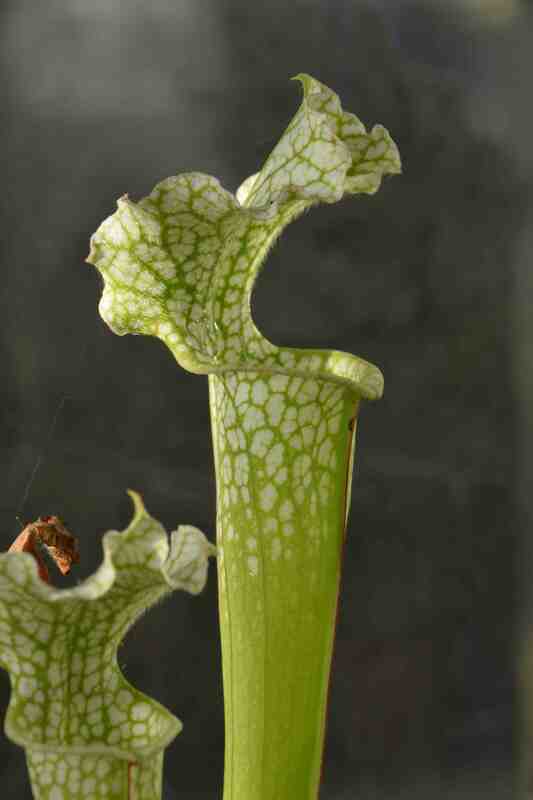 In America, although the contents of the pitchers do contain enzymes to dissolve their prey, there are insects and worms that live in the liquid and feed on the unfortunate insects that fall in and their waste also feeds the sarracenia. 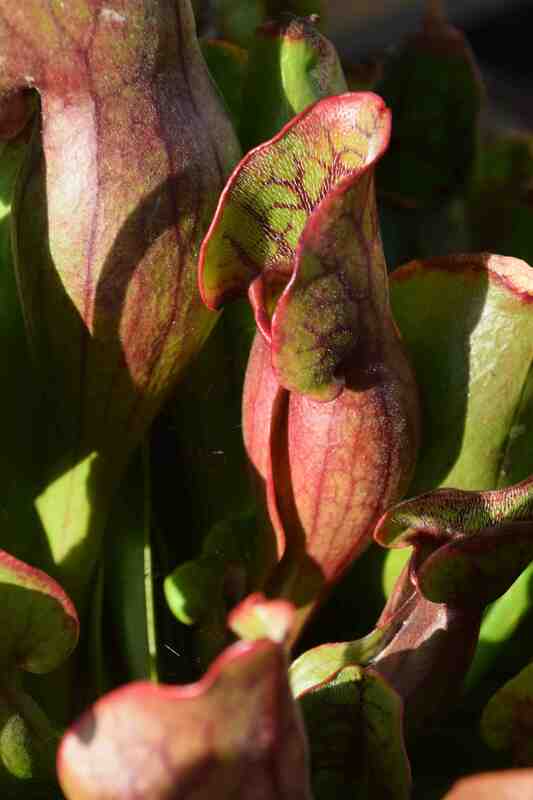 It is the easiest of all insectivorous plants to grow and can be left outside all year. As it is usually grown in a pot (although it can also be grown as a marginal in a pond as long as the crown is not submerged) it should be kept in a saucer so the compost, which must be a nutrient-deficient mix of orchid bark, peat, moss and/or perlite, is permanently wet. It is not the best houseplant because it need cool and bright conditions but it can be kept on a sunny windowsill in summer. It does need a winter rest though so should be kept outside or in a cold greenhouse in the colder months.